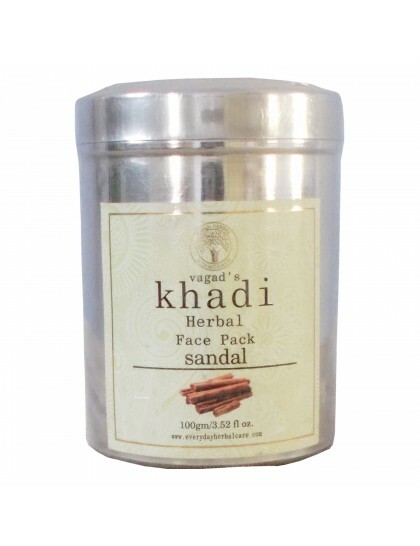 Sandal face pack is a combination of Chandan, Kesar & Haldi effectively exfoliates dead skin cells from the surface. It fights to tan; fades dark spots & blemishes; and an overall tone of the skin. Directions:- Apply a generous amount of this pack on face & neck, avoiding eyes. Relax till completely dry. Rinse With Freshwater. 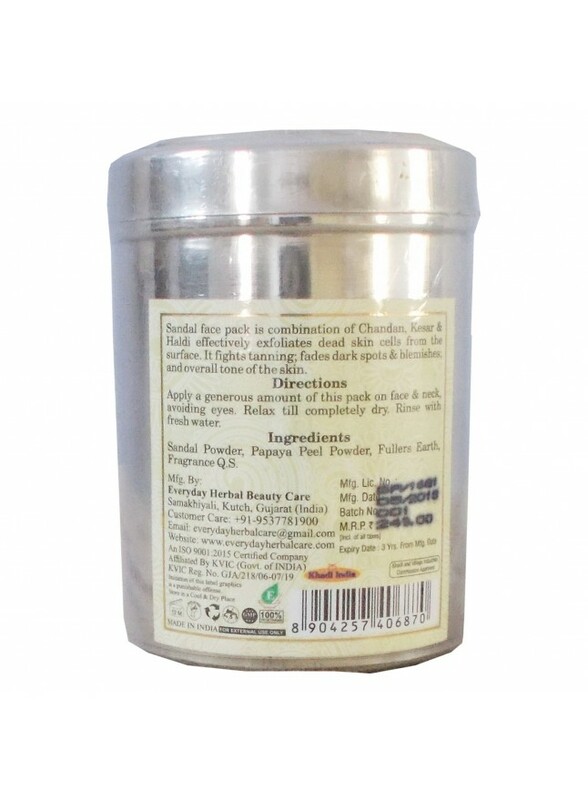 Ingredients:- Sandal Powder, Papaya Peel Powder, Fullers Earth, Fragrance Q.S.